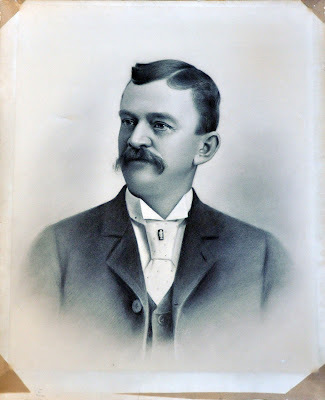 Oscar Zistel was born in Germany in 1854, the son of Louis Zistel and his wife the former Anna Rosenkranz. Mr. and Mrs. Louis Zistel and their young son Oscar came to the U.S. about 1858. Louis had been to the U.S. earlier, but he returned to Germany after the outbreak of cholera. Louis Zistel was involved in fishing and boating, and he also ran the Atlantic Pleasure Gardens. 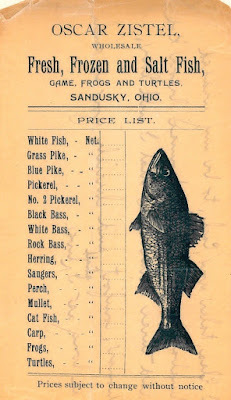 After working with his father in the fishing and boating businesses, Oscar Zistel eventually ran his own wholesale fish business. 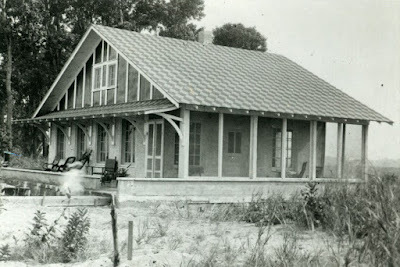 The fish company was located at 316 Meigs Street. A previous post in Sandusky History discusses how the business in Sandusky shipped 4000 pounds of live carp all the way to Philadelphia in May 1911. Oscar Zistel had married Martha Von Camien in 1878, and the couple had three daughters, Elsa, Norma and Vera. 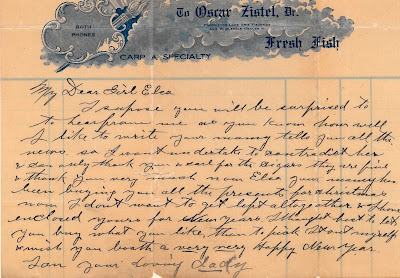 In December of 1907, Oscar Zistel wrote a letter to his daughter Elsa, who by that time had become Mrs. Carl Sonntag. I suppose you will be surprised to hear me as you know how well I like to write. Your mommy tells you all the news, so I won’t undertake to contradict her and can only thank you and Carl for the cigars. They are fine and thank you very much. Now Elsa your mommy has been buying you all the presents for Christmas now I don’t want to get left altogether and I have enclosed yours for New Years. Thought it best to let you buy what you like than to pick than to pick it out myself and wish you both a very very Happy New Year. 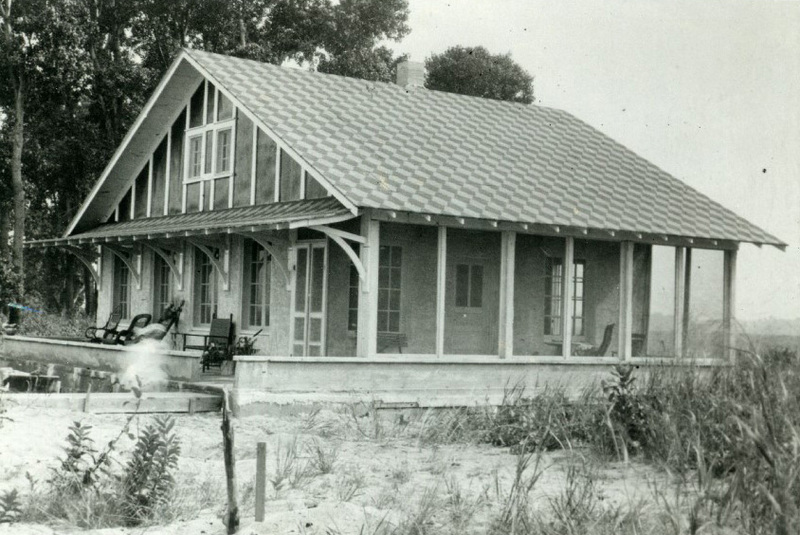 Oscar Zistel built a cottage at Cedar Point in 1910, for family fun during the warm weather months. 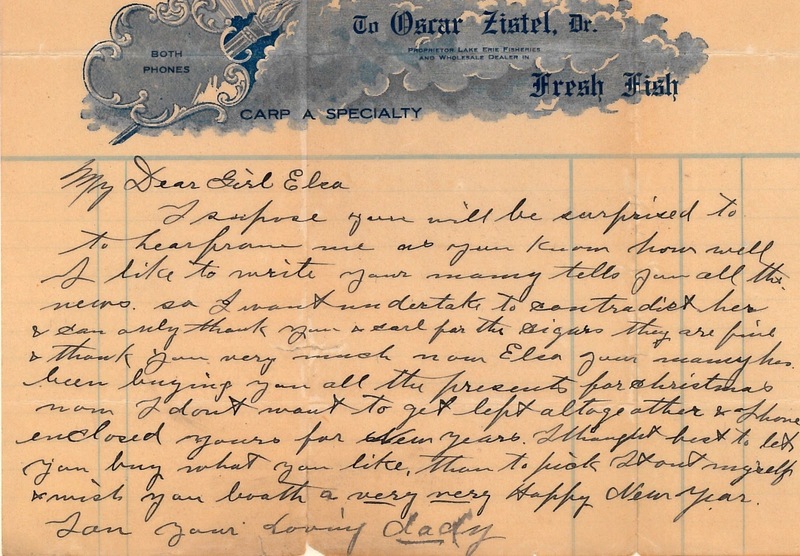 Oscar Zistel died at the age of 62, on July 28, 1918, and was buried in Sandusky’s Oakland Cemetery. 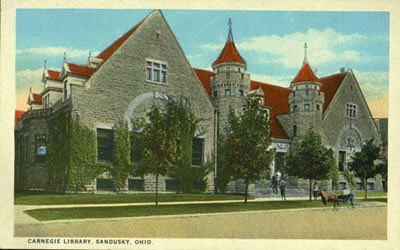 His wife Martha lived in Sandusky until 1952, when she passed away at the age of 94.